The sweet land of nog. 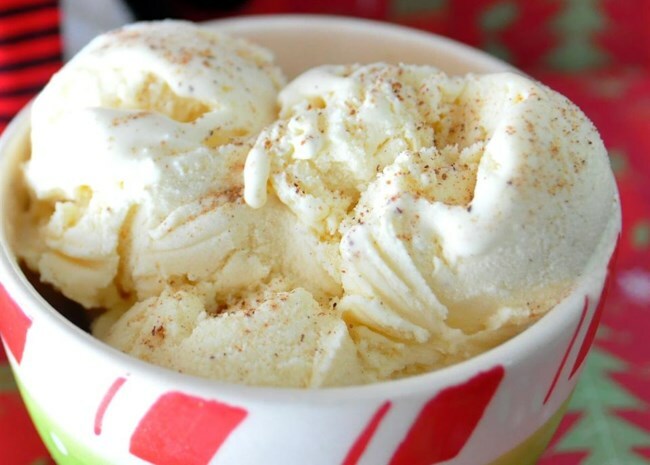 Creamy, nutmeg-y eggnog is one of the iconic flavors of Christmas. But drinking eggnog isn't the only way to enjoy it. (I'm looking at you, Eggnog French Toast.) Think about it: The ingredients that go into eggnog—whether you do homemade eggnog or buy it in a carton—are the same ingredients that you'd use in desserts. Eggs and milk, spices like vanilla, cinnamon, and especially nutmeg, sugar, and often a touch of rum go into making the rich eggnog you associate with the holidays. So, it's not a stretch to see how you could incorporate eggnog into favorite holiday desserts. 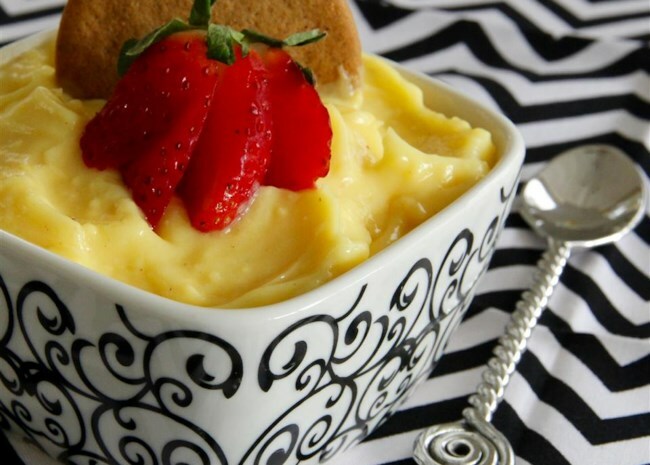 We're sharing 14 of our favorite eggnog dessert recipes for you to try along with prep tips. 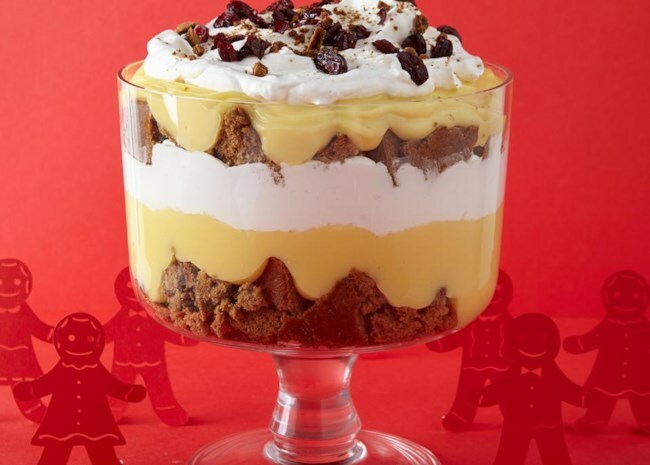 Reviewers say to be sure to let the trifle sit overnight in the fridge to really let the flavors combine. Watch the video to see how it all comes together. These easy cupcakes start with a pound cake mix with eggs, eggnog, and nutmeg added in to flavor the batter. 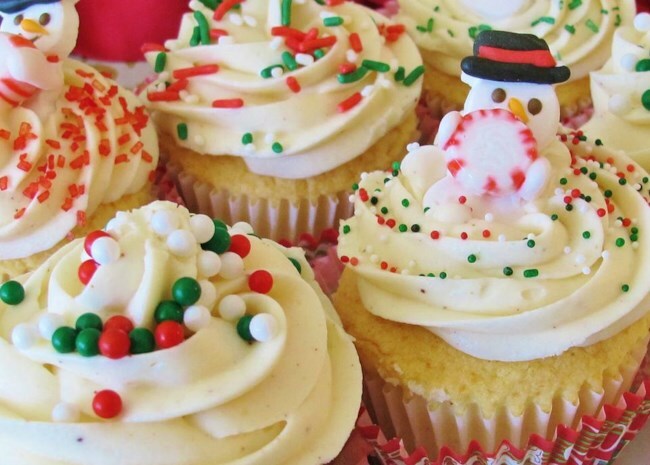 Then you'll top the baked cupcakes with an eggnog-laced butter and cream cheese frosting. The final decorative touches are up to you and your creativity, but we love the ideas shared by naples34102 in the photo below. Several reviewers found the cupcakes to be delicious but dense, so they added back the butter that was cut from the box mix. While there's no actual eggnog in the mix, the cinnamon, nutmeg, cloves, and ginger you'll add in gives this vanilla pudding that unmistakable eggnog vibe. But if you do have eggnog, go ahead and use it instead of milk. With 300+ 5-star reviews, this holiday cheesecake clocks in as one of the best eggnog-flavored desserts on Allrecipes. Several reviewers opted to use gingersnaps instead of graham crackers for the crust, and loved the results. Home cook CHERYLAFOX says, "This is the most delicious cheesecake I've ever had. I've made dozens of them, and people have started hiring me to bake them for their Christmas parties this year. It always comes out perfectly, and is always a hit." You're only four ingredients away from a simple, comforting bowl of eggnog custard. Home cook Kamokuu says, "Super easy with little to clean up! Turned out amazing with no alterations to the recipe. The custard melts in your mouth and for me and my family it was perfectly sweet and eggnogy." 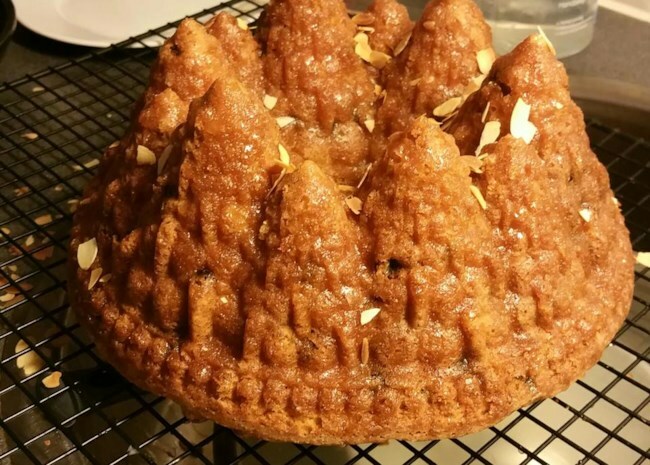 Recipe creator Amanda P says, "Using two of our family's favorites, bananas and eggnog, I came up with this yummy cake! Very moist and flavorful!" And reviewers agree it's all that and easy, too. Home cook egomom raves, "Made this cake tonight. I am a novice cook and followed the directions exactly as written. The cake was done in one hour and came out perfectly. The house smells as delicious as this cake tastes!" What makes this holiday cake stand out are the dried blueberries, cherries, and cranberries soaked in brandy to plump them up. And then there's the simple brandy and sugar glaze. 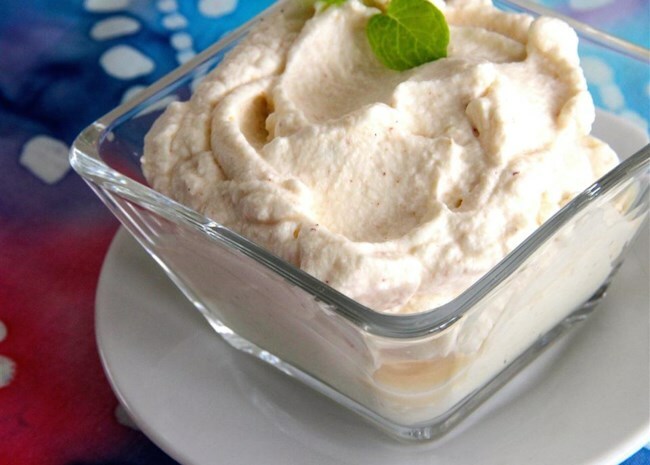 NELLY2 says, "I made this recipe last year for friends and family, it was a hit! They asked me to do it again this year. I made individual loafs." 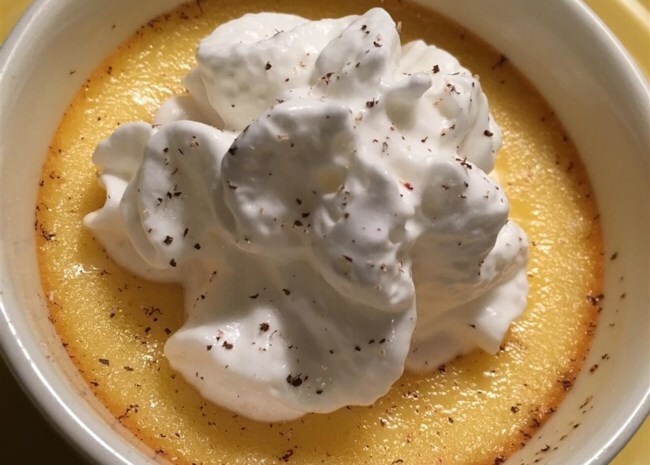 You'll use your blender to whip together the ingredients for simple no-crust custard pie. Home cook geraldinesng says, "It was amazingly delicious and how simple and awesome this pie was. I did not have nutmeg so I sprinkle with pumpkin spice and it was very good." 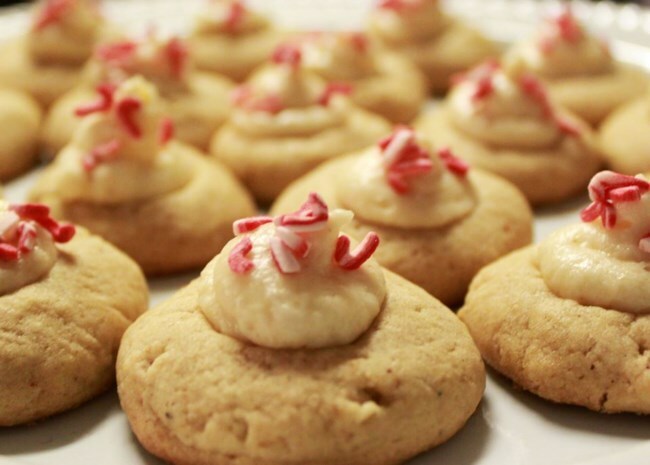 These easy cookies don't actually contain eggnog as an ingredient, but the filling for the thumbprint indentation is an eggnoggy mix of butter, confectioners' sugar, rum, and a pinch of ground nutmeg. We like how home cook Kelly added crushed candy cane as a colorful Christmas topper. 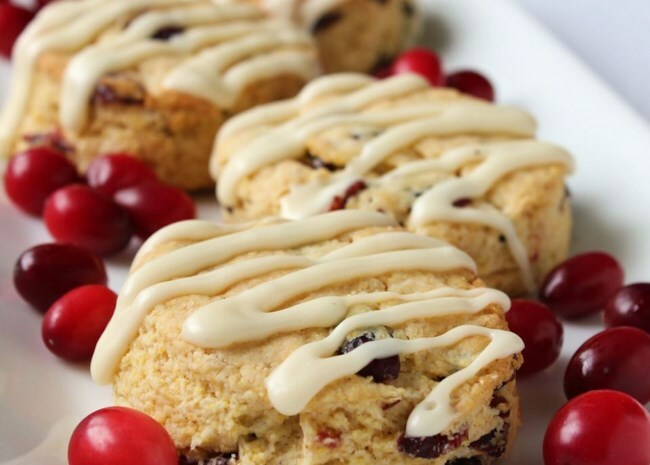 Let's not quibble about whether or not scones qualify as dessert, okay? Besides, the glaze that home cook Dianne added to hers certainly takes them into sweet treat territory. 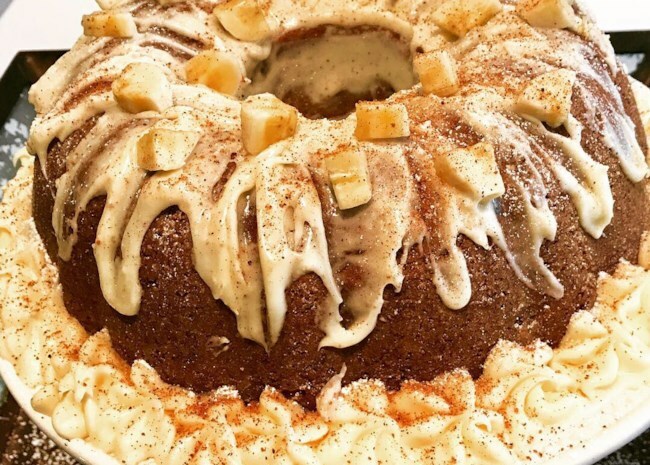 Here's what she did: "I made an eggnog-rum glaze to drizzle on top: I combined 1 1/2 Tbsp. melted butter, 1 tsp. corn syrup, 1/2 tsp. rum flavoring, 3/4 cup confectioners' sugar and 2 Tbsp. eggnog (add more or less eggnog to get the correct drizzling consistency). I then just put the glaze in a baggie, snipped off the corner and drizzled in a zig-zag pattern, letting the glaze run over the edges of the scones. Delish!" Break out your ice cream maker for this rich and creamy treat. 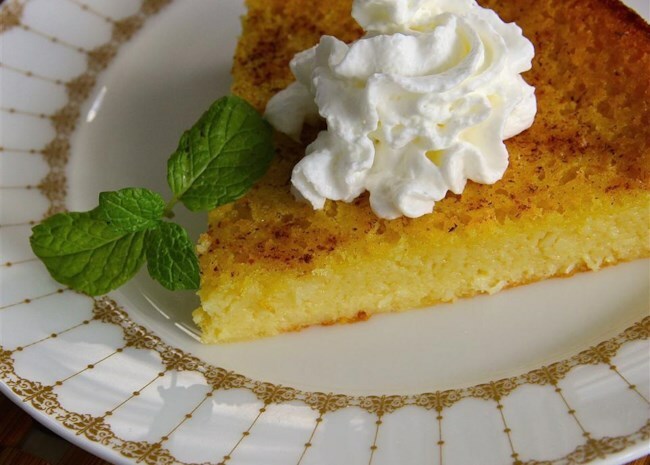 Several reviewers grated a little nutmeg into the mix, and home cook SoCalAngel added two teaspoons of rum instead of the one teaspoon vanilla extract called for in the recipe. Looking for an easy gift from the kitchen as holiday give-aways? 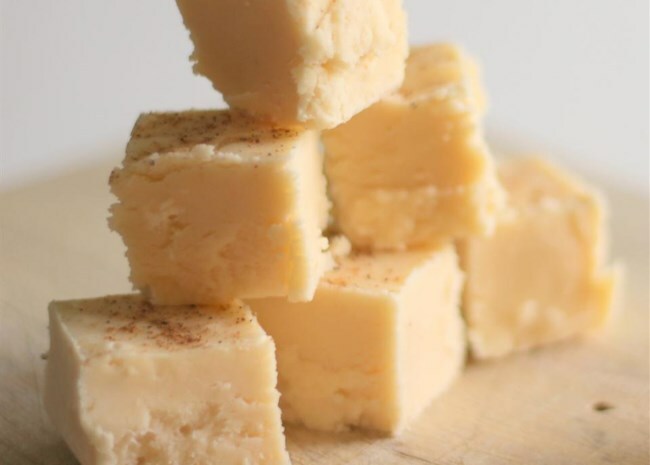 Give this simple fudge a try. Top tips: SunnyDaysNora mixes the nutmeg right into the mixture instead of just sprinkling it on top, and HungryMommy uses white chocolate chips instead of vanilla candy melts, and adds chopped pecans. Rum and freshly ground nutmeg give this easy whipped cream its eggnog flavor. Use it to add an eggnog flourish to cakes and pies, or float a spoonful in your coffee or hot chocolate. Try these easy tips to make the best whipped cream. 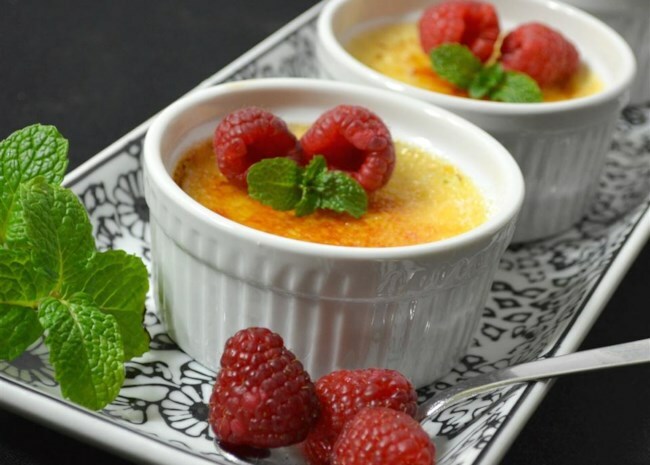 Recipe creator Brian M Jones says, ""I have been making crème brûlée for my wife for quite some time and one day she asked me, 'Honey, is it possible to make crème brûlée out of eggnog? I think that would be so yummy.' So, I bought some eggnog and set about finding out if it is possible, and it is." Home cook cookin kathy agrees, saying, "I thought it was very good. I used rum instead of the vanilla. It will be a regular holiday dessert." Photo by Kim's Cooking Now! 60+ homemade eggnog recipes for eggnog lovers. Browse our entire collection of Christmas dessert recipes.